Vemdalen and Bjornrike are two of the top ski centres in Sweden. 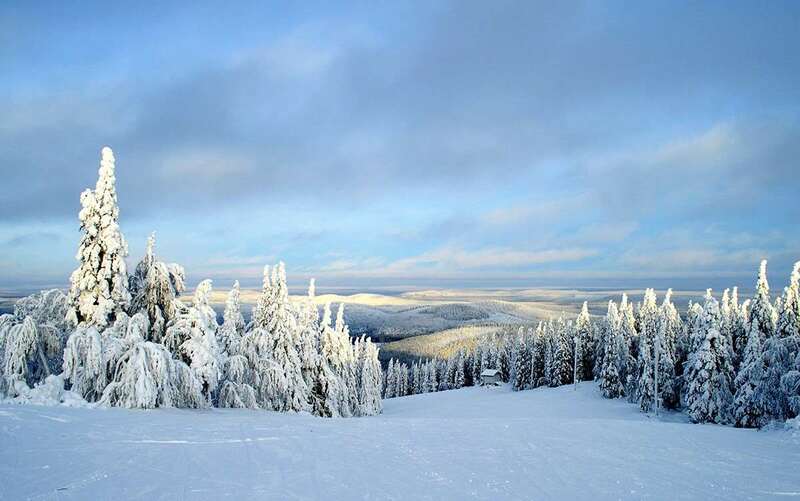 These two ski centres, which also include Klosjo only 15 minutes away, are linked together on the same lift pass, which makes this area good value for money. The pistes are ideal for beginners and families. There is plenty of space to learn on wide slopes, with many blue and green runs and lots of scope for gradual improvement. Intermediate skiers will find some challenges, but more advanced skiers may find themselves somewhat limited. Vemdalen and Bjornrike have over 180 kilometres of marked cross-country skiing trails. This makes it possible get closer to and explore the beautiful mountains, open countryside and nearby villages. Vemdalen and Bjornrike appeal to those who like an all-round winter holiday, with plenty of off-slope activities. During a normal season, Sweden is snow-sure from December to May. The stunning unspoilt landscape, with miles of exciting forests and lakes make Vemdalen and Bjornrike a totally different winter-sports experience compared with the Alps. Snowmobile safaris, ice fishing and dog-sledge riders are other popular activities that will make your trip an unforgettable experience. Vemdalen and Bjornrike, indeed all of Scandinavia, are a snowboarder's paradise. There are plenty of boarder friendly facilities and dedicated boarding areas, including great board parks and varied terrain. An added extra is that all children receive a free helmet with all snowboard rentals and lessons. The myths about Sweden being dark, cold and expensive are simply not true! The standard of food and accommodation is very high, and the service and people are warm and welcoming. The prices are comparable with the French and Swiss Alps. Vemdalen and Bjornrike offer a different environment and culture compared to the average Alpine resort. Although Swedish is incomprehensible for us to understand, virtually everyone speaks good English. Après-ski is available throughout the week, but is best at the weekends, usually with live entertainment. Night skiing is also available, 2 - 3 times per week, with impressive floodlighting. There are a number of bars and restaurant around Vemdalen and Bjornrike, offering the finest from the Swedish kitchen, plus other continental dishes. The alcohol prices are relatively low compared to the other Scandinavian countries. I learnt to ski here at the tender age of 60 with my Swedish speaking grandchildren . It is agreat place to get to with many runs to suit all levels of skill. Almost all of the skiers willbe Swedish as it is a quite remote resort.